Stuart Abrams, Avon High School teacher, discussing How Children of Survivors can be Helpful in the Classroom. On Sunday, Nov. 11, 145 people gathered at the University of Hartford for the Descendants of the Shoah Conference, hosted by Voices of Hope. 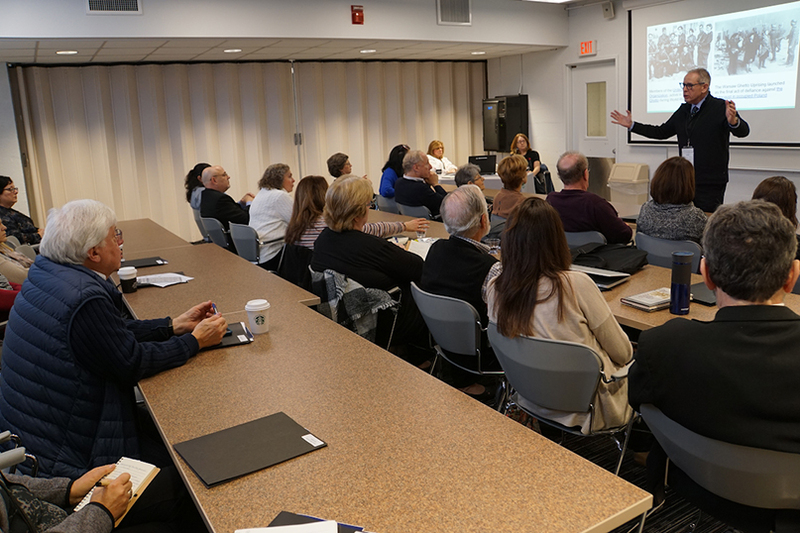 Participants – including Holocaust survivors, their children and grandchildren, educators and community members – traveled from near and far to take part in this inaugural conference, the goal of which is to raise consciousness about the Holocaust. The program included lectures and panel discussion that examined Holocaust history, personal experiences and the continuity of remembrance, and honored those who perished. 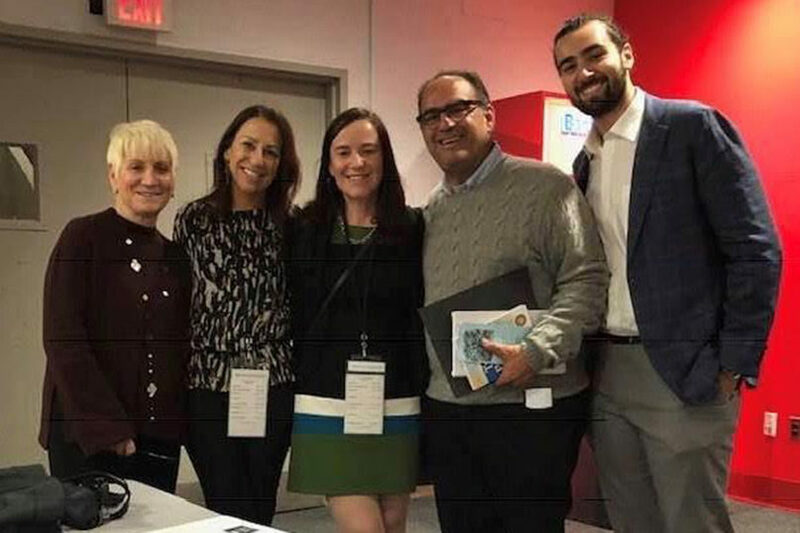 Founded by descendants of Holocaust survivors from across Connecticut, Voices of Hope aims to raise awareness about the Holocaust and to fight hate and intolerance. CAP: At the conference: (l to r) Voices of Hope (VOH) co-directors Lisa Fishman, Kathy Fishman and Anna Huttner; and VOH chairman Alan Lazowski and his son Jonah Lazowski.